Perfect for small and medium sized companies, this centre is offering furnished, serviced offices to let in a comfortable, modern environment. This centre enhances connectivity with IT support. You can also take advantage of the administrative support on-site. It is very close to the centre of Nice and also a short walk from the seafront promenade. Public transport is just minutes away whilst there is also parking close by. This centre is well situated in the city centre of Nice, an idyllic location for setting up your developing business. Here, there is a host of useful amenities at your disposal including; a friendly on-site admin team, 24-hour access to the building, air-conditioning, dedicated WiFi and great access to other commercial entities. 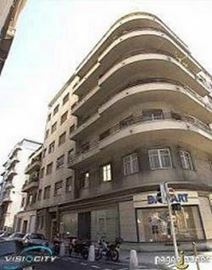 This office building is located in the heart of Nice and is easily accessible through public transport. The nearest train station and underground station are within 10-minutes walking distance and the beach is nearby as well. Surrounding the centre are plenty of local amenities including cafés, bars, restaurants and local attractions, all within walking distance. 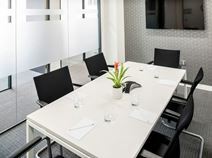 Located within the Arenas Business Park, this centre offers two upper floors of office accommodation inside a sleek modern building with a welcoming reception area and elegant conference rooms. The centre is fully equipped and serviced and is surrounded by excellent transport links, restaurants and amenities in this area that attracts major international companies. The centre is highly accessible from the M6098, along which you can find lots of hotels at which to accommodate visitors. This impressive modern building in Nice offers first-class offices and virtual office solutions. Available in various size and at flexible rental terms, these offices can accommodate any of your needs. Surrounded by banks, companies, restaurants, bars, cafes and shops, this building enjoys an excellent location, close to the airport, to the city centre and to the motorway network. This is the perfect workspace solution for companies with international clients. A large amount of office space is available within this striking contemporary building which also offers Virtual Office packages. Meeting rooms with sea or park views are available and a host of services are offered including translation, secretarial assistance and advanced IT support. The centre has a wonderful sea front location in an area popular with financial companies and good road connections to central Nice and Cannes. This comfortable and spacious business location is in a ideal neighbourhood, perfect for local and international businesses. The space offers private offices, co-working solutions, access to meeting rooms and comfortable business lounges. Each floor is flooded with sunlight, creating a dynamic and refreshing environment. With 24 hour access you can work around the clock, and the building is easily accessible using public transport links. This inviting, traditional work-space offers fully equipped private offices, co-working space and meeting rooms in an incredible location within Nice. You are just a 5-minute walk from the beachfront so when you need a break you can take a trip down to the sea for some fresh air. Inside the building you will have access to a shared lounge with seating areas and there are vending machines throughout. Each of the offices are well lit, comfortable and feature high-speed internet so you’re able to work wherever you feel comfortable. Become part of this community and take advantage of the friendly working environment to network and build a portfolio if connections within this amazing location. 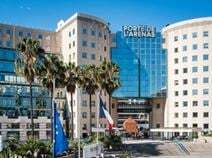 This centre is perfect for regional travel or trips to the airport with Masséna Light Rail stop and Gare de Nice Ville train station within the close proximity. Ideal for smaller companies, this centre provides serviced, furnished office accommodation to let with use of meeting rooms and a prominent location near to the Boulevard des Anglais in central Nice. Virtual Office arrangements are also on offer. The airport and seafront are both a short distance away. There are lots of attractions, such as the nearby Villa Masséna Musée- just 10 minutes away by foot.